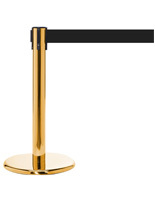 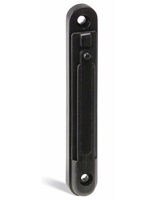 Crowd Control Stanchion- This public guidance post has a satin brass finish with a 7 1/2 foot black retractable belt. 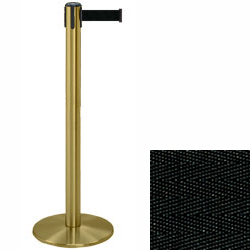 These crowd control posts are perfect in lobbies, waiting areas, airports, food lines, registration offices. 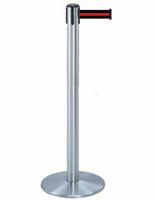 This stanchion crowd control system is available with many add-on post top signs that help control and direct your traffic. These crowd control posts are easily mobile, allowing for easy environmental changes. 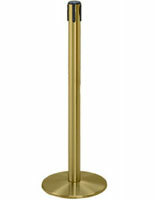 The post measures 38" tall, 13 1/2" diameter base, and weighs 24 lbs., the belt is 2" wide.